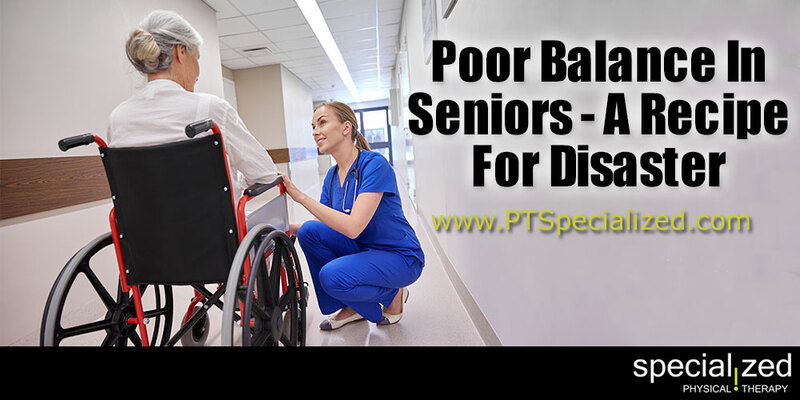 Poor balance in seniors is a real problem. As we age balance can become tricky and falls are a huge contributor to injury and hospitalizations for seniors. There are many causes for this, like arthritis and frailty. Balance issues are the most common cause of falls in the elderly and not addressing them is a recipe for disaster. The falls from balance being off can lead to permanent disability. For many seniors keeping their independence is very important. Losing it because of a fall is very easy. However, balance issues don’t have to be inevitable. Identifying gait and balance disorders early can mean addressing them before they become a life changing injury. Your doctor should be asking questions at your check ups about issues with dizziness, problems walking or changes in stamina when walking. If there are issues, he or she should be addressing it with either the appropriate medication, changes to medication, addressing the causes if they are known or sending you to physical therapy. Physical therapy can help by addressing gait issues with new and better ways to walk correctly and by performing specific balance exercises. It can also help address ongoing issues with things like arthritis or other degenerative problems that can affect your balance. Don’t let balance issues affect your life or the life of someone you love.